A sublime hunk of steel and leather that's quiet as a midnight snowfall, the Rolls Royce Ghost is the ultimate luxury sedan on planet Earth. 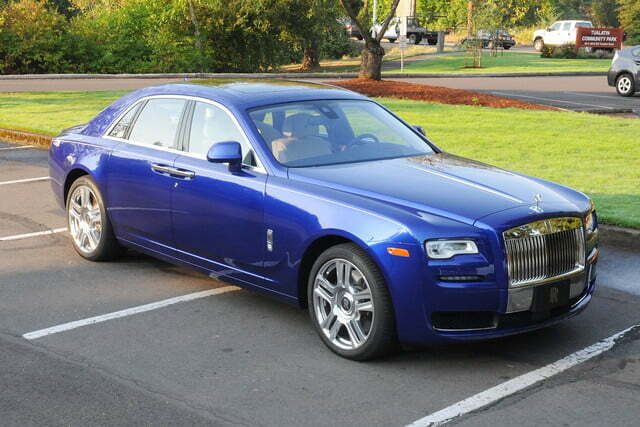 There’s really nothing like the Rolls-Royce Ghost, except perhaps another Rolls-Royce. Maybe Donald Trump’s limo is as luxurious as this car, but I doubt it. I’d sooner compare the Ghost to his house. This leaves me stymied as I try to compose a review for you. 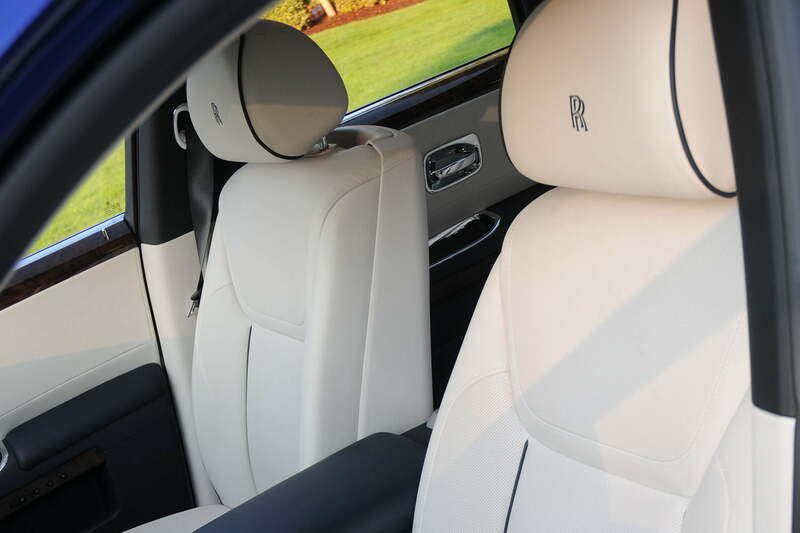 I thought I could compare the Ghost with the Bentley Continental GT, but Bentley — while luxurious — is designed to be a high-performance personal luxury car, rather than an all-out luxury experience. As for the others: the S-class Benz, the Audi A8, the American brands, even the big Jags and Range Rovers don’t come close to the singular experience of the Ghost. 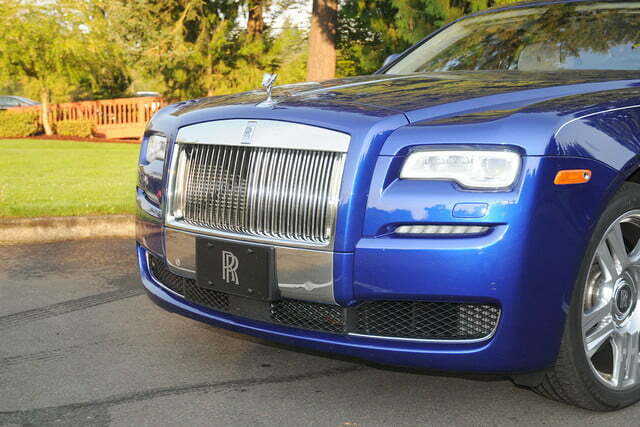 Pardon the pun, but that’s how Rolls, well, rolls. Creating a luxury car in 2015 is not an easy task. Democratization of technology and features in the last decade or two means that the lowliest economy car now comes with all the features that used to define luxury cars of the past. It’s hard to find a car at $25,000 that doesn’t come with air conditioning, cruise control, power windows, trip computer, a backup camera, and a stereo that beats the daylights out of anything you could buy 10 years ago. You can get 300 horsepower from any automaker’s base V6; you can get a seven-speed, twin-clutch transmission in a Smart Car this year. 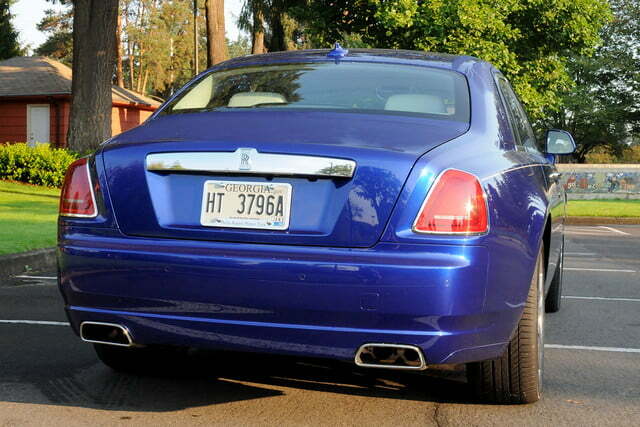 How do you make a luxury car that’s worthy of the name, to say nothing of the eye-popping price tag? You start by making a big car. 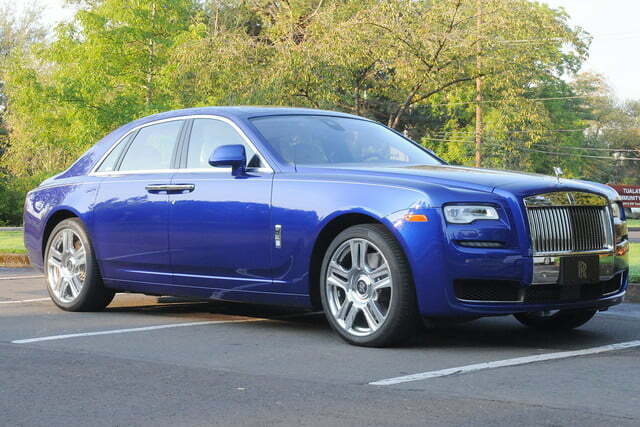 In an era of fuel-efficient lightweights, the Ghost is a tremendous chunk of steel, leather, and glass. 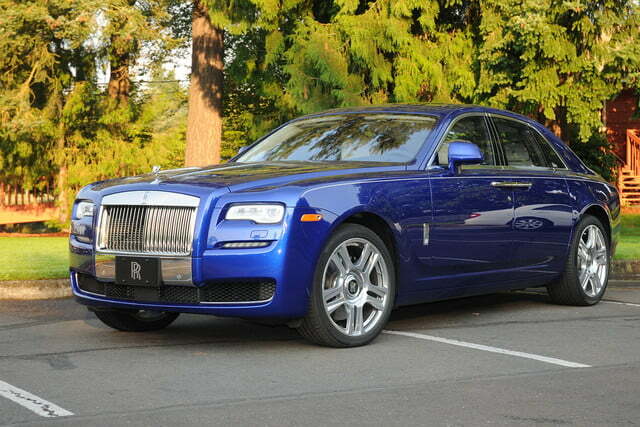 Weighing in at 5,490 pounds, the Ghost is among the heaviest cars on the road, and that’s a big part of its appeal. 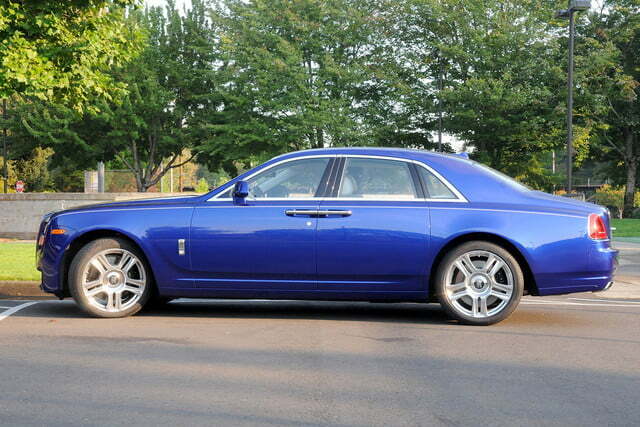 Rolls-Royce engineers gave the Ghost a soft — but not wallowing — suspension that makes use of all that weight to deliver the silkiest ride you can buy. That’s done with self-leveling air springs and variable damping control on the shocks. This is a car that not only soaks up the bumps, it glides along like a magic carpet. 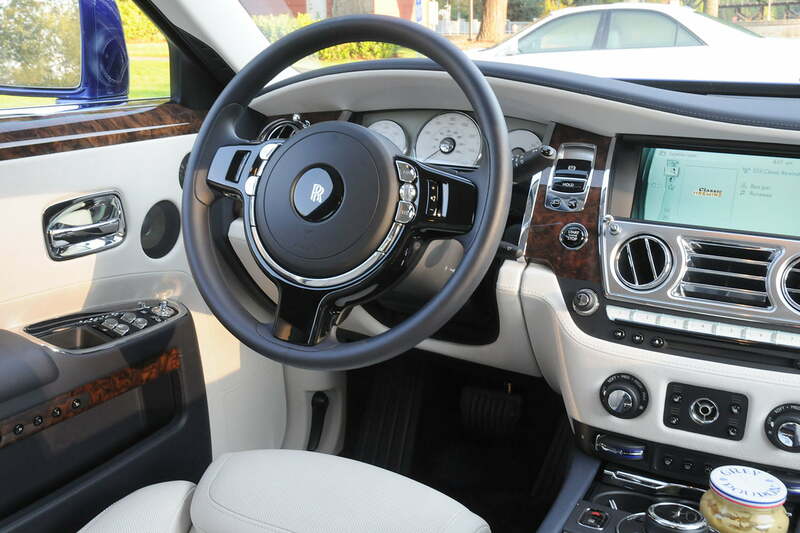 Added weight in the form of sound deadening materials makes the inside of the Ghost as quiet as a midnight snowfall. Pair that up with the top quality audio system and you can enjoy your favorite tunes – classical, please, perhaps Chopin – as clearly as if you were in your recliner at home. 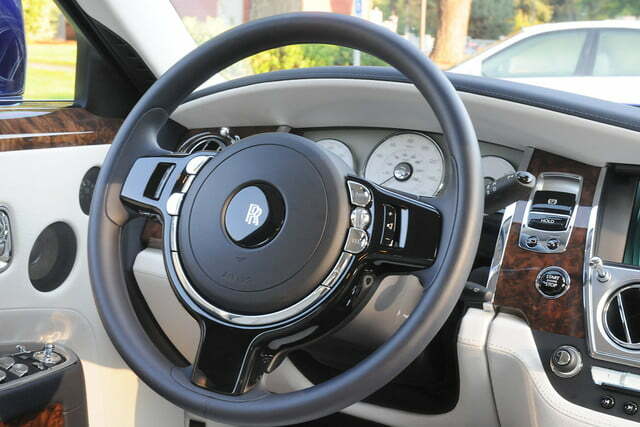 The first magic of the Rolls is that the car is actually relaxing to drive. You get behind the wheel and you can feel the tension drain out of your body like a deep breath, slowly exhaled. I took the car on a 70-mile round trip for dinner, and found that out on the highway, I felt like I had time and space to think. I arrived feeling as relaxed and composed as a yoga teacher. It was extraordinary. The second magic is in the car’s performance. From the moment you wheel out onto the road, you can feel the weight of the car smoothing your way, but almost as quickly you notice that the Ghost can and will accelerate smartly. That acceleration is served up by a 6.6-liter twin-turbo V12 engine, mated to an eight-speed traditional automatic transmission. 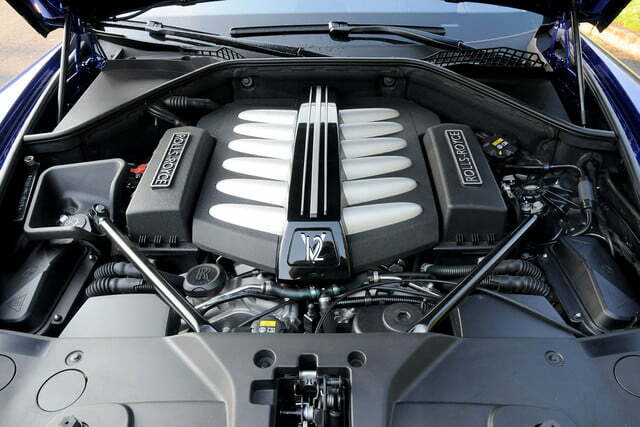 The package delivers 563 horsepower and 575 pound-feet of torque to the rear wheels. So when it’s time to say, “Home, James, and don’t spare the horses,” you have horses to spare. The inside of the Ghost is as quiet as a midnight snowfall. 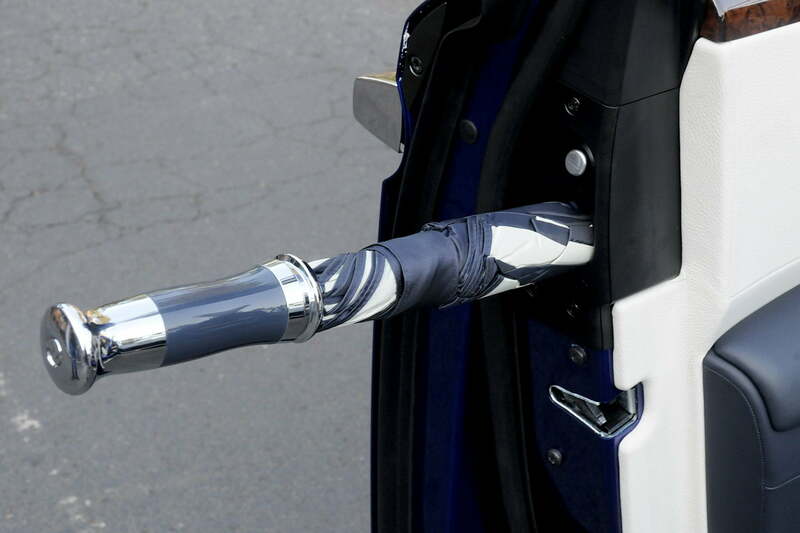 This is the place in a review where I talk about fuel economy, but it feels like a joke with the Ghost. Honestly, if you’re driving this car you don’t need to worry about it. But for the sake of completeness the Ghost drinks only premium fuel and gets 13 mpg in the city and 21 mpg on the highway, which is better than you might expect for its size and power. But let’s be clear, the Ghost is in no way a sports or muscle car. I didn’t try tossing the big boy into any corners, and only a fool would attempt it. That’s not what this car is about. The Ghost uses its power for effortless cruising at any speed, and for power to pass any other car or truck on the road with confidence and grace. This car is made for people who arrive at their destinations on their own schedule. Inside the Ghost, everything is exactly as you would expect. Buttery soft leather cuddles your precious behind, while soothing heat or cooling air keeps your backside as comfortable as your front. Even the carpet is an extra-plush fur-like surface that will make you want to take your shoes off. The wood trim is real wood, of course, with the grain expertly matched up. Even the headliner is made of supersoft suede. 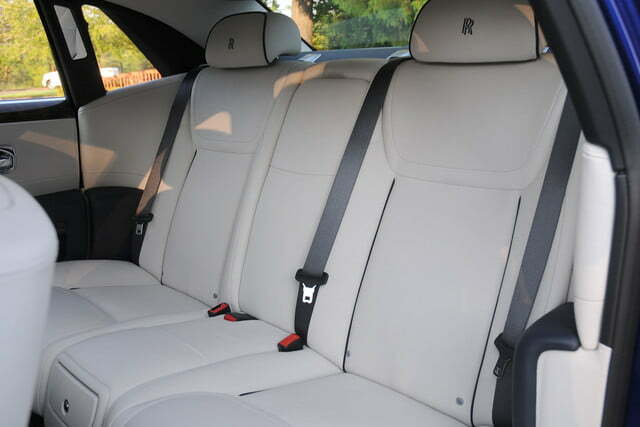 The luxury experience is good for the driver, but it’s even better for passengers. Each passenger position has its own climate controls and seat adjustments. The rear seats (where the owner is likely to sit) offer individual TV screens and fold-down wooden trays for your work or your lunch. With the smooth ride of the Ghost, your glass of Chardonnay is safe. 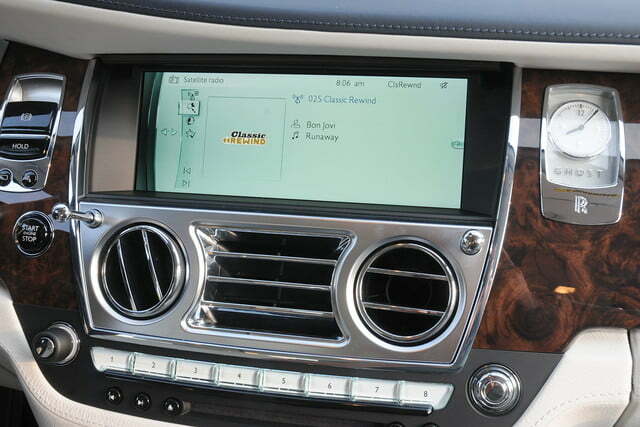 The dashboard tech (navigation, audio, Bluetooth) is hidden behind a polished wood panel that retracts so you can make your selections, then comes back at the touch of a button to restore the classic look of the car. Rolls-Royce is part of the BMW empire these days, so the I-Drive system with its dial has been adapted for use in the Ghost. Rolls dubs the dial the “Spirit of Ecstasy Rotary Controller.” Yes, they really went there, with a straight face. I used the system all week – it works just fine, but I wouldn’t say I experienced any ecstasy. I just got Radio Margaritaville, as usual. 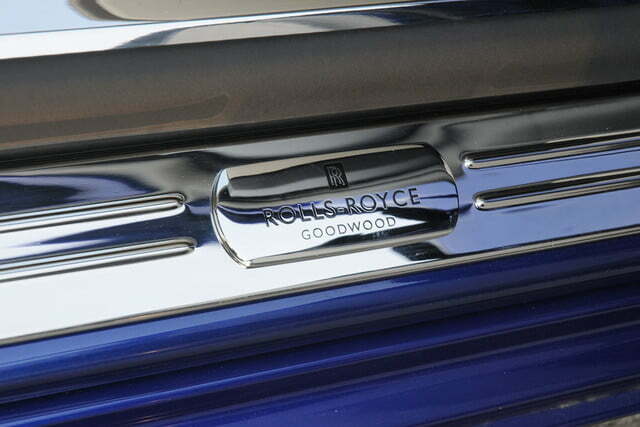 The Rolls-Royce passenger experience is completed by the doors. 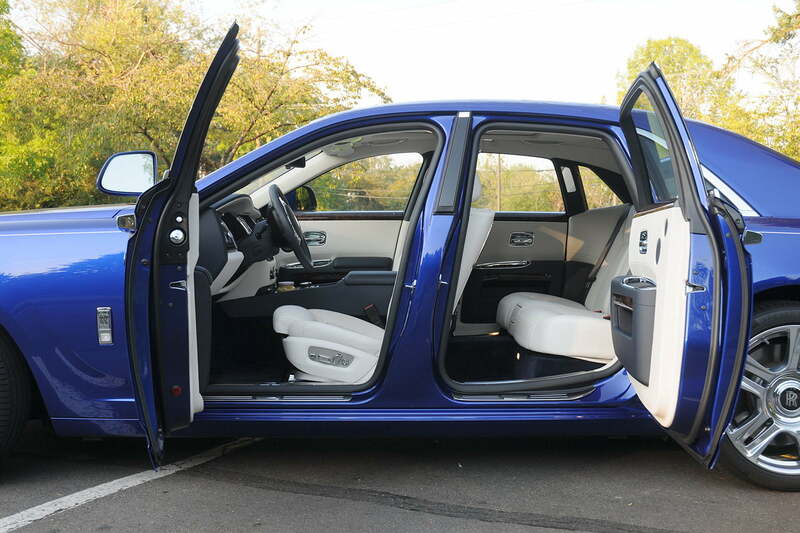 The rears open at the front end – suicide doors, as they’re commonly known – although once you’ve tried them, you’ll wonder why every automaker doesn’t do this. 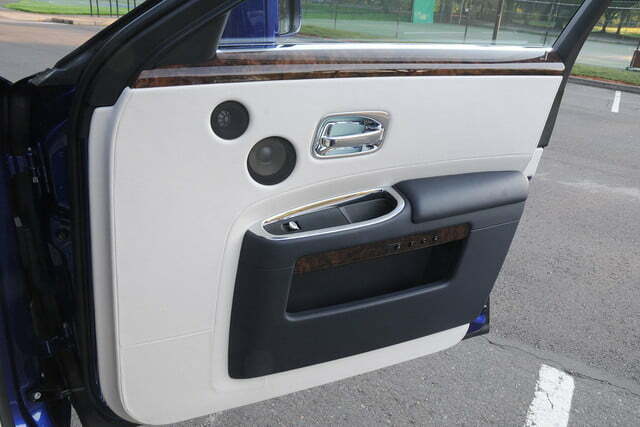 It’s dramatically easier to enter and exit the back seats with this design. Then you’ll notice something odd about the front doors – there’s a silver button that ejects an umbrella on each side. With the Ghost, there’s no way you have to endure a single raindrop on your head, ever. We’re not exactly sure what a plinth might be, but we’re sure you’ll want one. This may be the only version of the Ghost that most of us can afford. You’ll need a nice pocket watch to go with the Ghost. 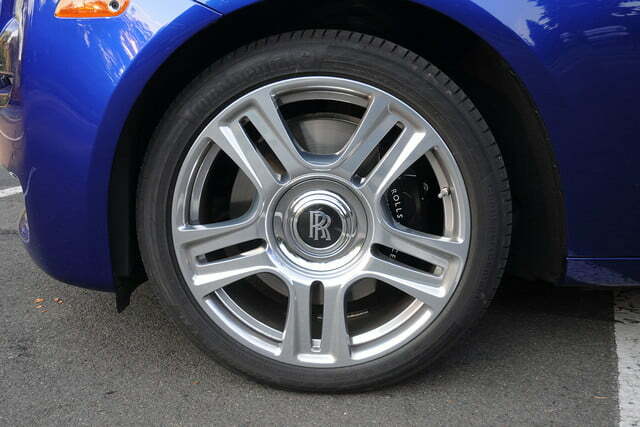 If you need to be reminded that you bought the Rolls, installing these lights will project the Rolls-Royce Logo on the ground when you open the door. 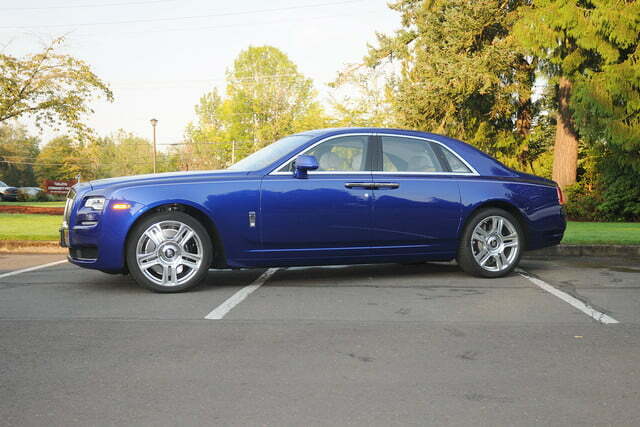 As tested, this particular 2015 Rolls-Royce Ghost carries a sticker price of $382,825.The base price for the car is already a cool $286,750, and the bespoke options add up quick. You’ll pay $700 just for the umbrellas, and everything else costs even more. But if what you want is the ultimate luxury sedan on planet Earth, you really have no other options. 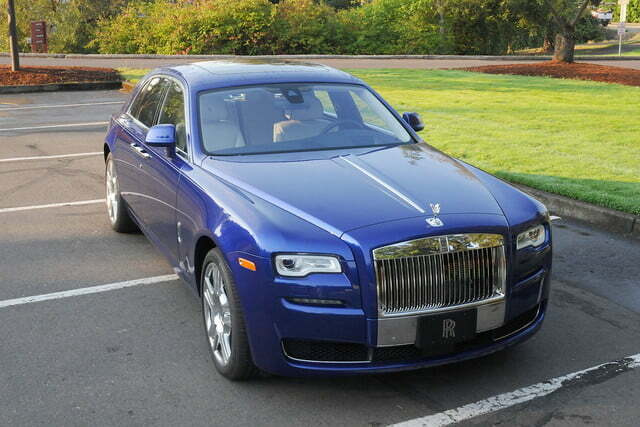 The Rolls-Royce Ghost is the car that tops everything else on the market, and there’s the price tag. If Sir has to think twice about it, Sir can’t afford it.